I have far too many wildcards, those combos I love but not as much as the top ones. Or in some cases, more, but I find them a tiny bit unwieldy for day to day use. Ideally, I’d have a top 10 and 10 wildcards. Recently I’ve added three names to the wildcard list, bringing the total up to 16 Wildcards. There’s already 11 girls in the top 10 (I know, I know…) so I need to cull these down to three or four at best and am having the hardest time getting rid of any of them! If pushed, I’d say probably the bolded 4 are the biggest loves but I’m already mourning the loss of 6 others not bolded. If you had to pick 4 from this list to use on a girl, which 4 would you pick and why? See why I’m having problems? Any help at all would be completely appreciated! Thanks! I’ve been putting Lucy in the middle because she almost vanishes when I put her next to Josephine, in full. While she’s sweet, I think for me, she’s better there although I am toying with the idea of her in front. Lucy Raphaela is my favorite two name pairing of Lucy to date, although Lucy Primrose appeals too. While I can close my eyes and see my Mother’s glee over this one, I don’t know, maybe Lucy up front isn’t for me. What do you all think? I’ve been narrowing down the names I like for my #10 spot. And I’m running a poll at BtN right now to try to see which ones are liked best. Vote in the poll or scroll down a bit to see the list! Which would YOU put in my top 10, at #10? Vote or post! Please? Thanks! Talking today about Gloriana. She’s old, been around since at least the 1500’s. Edmund Spenser used Gloriana in his epic poem “The Faerie Queen” as allegory for Queen Elizabeth I. She’s was a a character in a trio of books I read at (probably around) 8. “Her Ivy Hall” series by Ruth Alberta Brown between 1910 & 1913. Comprised of “Tabitha at Ivy Hall”, “Tabitha’s Glory” (my favorite of the 3) and “Tabitha’s Vacation” She was Tabitha Catt and her redheaded orphan friend was Gloriana Holliday. (The covers were orange and the most glorious shade of turquoise, which is why I think they appealed, originally). As far as virtue names go, Glory is the one I love best. I know a lot of folks dislike her for her Gl- sound, it’s harsh to them. But that’s what I like about her, that sound is plummy rich truffle pudding to me. She’s also the most glorious shade of burgundy and gold. While Gloriana Lucy Violet comes close to the feel I like, I feel like she’s still missing something. Which is why I started concentrating on Glory. I like simple Glory almost more than Gloriana (almost!) and I have her in a spot where I think she’s utterly perfect: Euphemia Elinor Glory. There’s something about that combo that makes me swoon. She feels old time-y in a good way, like lemonade on a porch under a huge oak with a tire swing. But she does feel fresh, sweet & I really like her quite a lot. Despite the similarity to Josephine in sound, despite her slight clunk. Euphemia Elinor Glory gets quite a bit of love from me. But now that she’s settled, I’m thinking about Gloriana again. Do you like any othe ones above? Any suggestions for her, otherwise? I’m rather at a loss at the moment, but have a few ideas floating around. I’ll be working on them at luch (which it is now) and be back with them in an update after! Update: 10 more Gloriana combos, poll. Edith – My charmingly strong and regal one. I’ve mentioned my love for medieval names before and here’s one example. I love her history. Her sound is simple and crisp and like all E names, she’s yellow to me. Eulalie – Another light as air baby, u-LAL-ee. She doesn’t look as heavy as the other two Ee girls but she’s got the same ending as my surname and I waffle on whether she’s usable at all. I really love her sound though. 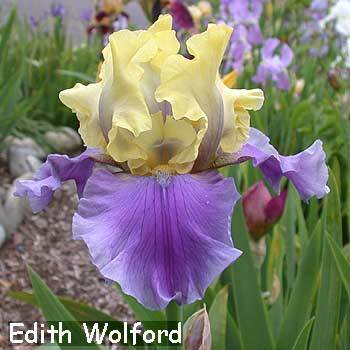 And her yellow is the most delicate next to Elinor’s. (the sunbaby on the left is Eulalie’s shade). And her lovely combo is: Eulalie Frances Madelief. Would you help me decide? The names I love that seem to get no love anywhere. Misfits? Maybe. All I know is that I really love them and could easily picture myself using them. Top of the list, Henrietta. Now, don’t get me wrong, I like Henry. I just don’t like his Harry potential. And don’t get me started on what I think is wrong with Hank (foremost, it makes me think of a hankie). Hal is the only nickname possibility I like for Henry, which is why he’s mainly middle material for me (woah, lots of M’s there!) But Henrietta, I adore her plethora of nickname potential: Hettie, Hattie, Etta, Ettie or simply Harriet! Generally, the more possible nicknames from a name, the happier I am. I love options more than just about anything! Henrietta Ruby Lilias is my preferred combo. Florence – I love her fiercely but cannot middle name her for the life of me. Closest to best I can do? Florence Lila Ghislaine. Euphemia – Another “Oh, I adore her”! Effie is just to die for as a nickname possibility and if that’s too fluffy for her, Mia’s not only doable, it’s livable. Euphemia Violet Esme, Euphemia Alice Maud & Euphemia Alice Valentine are my top favorites. Zenaida – She was brought to my attentions by Verity, at Appellation Mountian And immediately Zenaida Ruby Frances jumped into my head (preceded only by Zenaida Ruby Alice) and ZRF has stuck. I think she’s awesome. She just makes everyone I mention her to blanch. Gloriana – I’ve been love with her since I was about 8 when I found her in Ruth Alberta Brown’s Tabitha’s Ivy , I think it was the second of the “Ivy Hall” series. Then again in Edmund Spenser’s “The Faerie Queen” where Gloriana’s allegory for Queen Elizabeth I. She’s so lush and gorgeous, how could she not appeal? She’s hard to middle. Gloriana Ivy Mathilde is my best pairing attempt so far, and I’m still not quite happy with that. Edith – I find her sweetly charming and soft in that lispy storybook sort of way I love. Edith Alice Bertille is my combo of preference and I don’t think I could top myself there. Love her to pieces. Too bad everyone else thinks I’m nuts. So there they are, my Girly Misfits for all to see. What do you think of them? Keep them around or mourn their passing? Maybe for the grandkids? What do you think?